I’ve had this Byredo Trio of Minis on my wishlist for quite some time and finally caved and ordered them online. 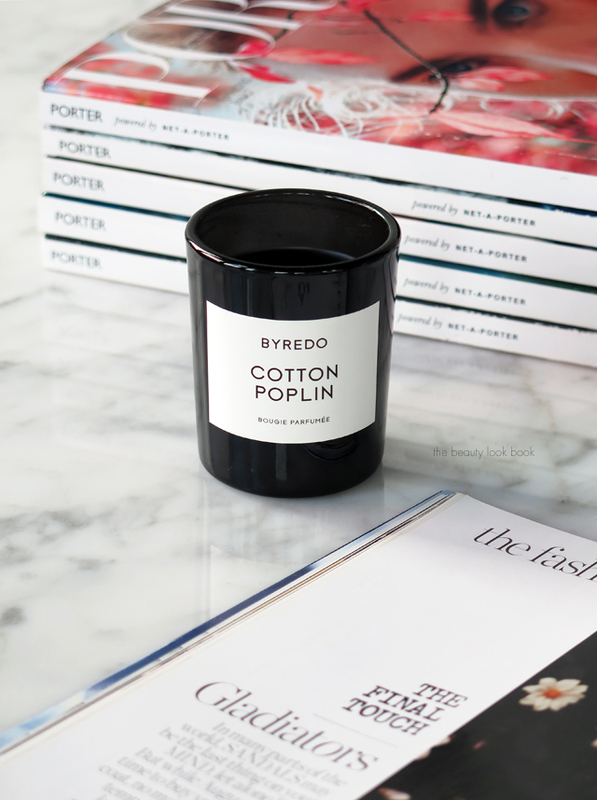 The trio includes three individually wrapped candles in Bibliothèque, Cotton Poplin and Fleur Fantôme. This specific set is currently exclusive to Net-A-Porter and Byredo.com ($120 for the set) but you can buy them individually in the mini size and full sizes at select locations. Based on what I’ve seen in person, stores seem to have limited inventory of the minis. Each mini has 8.4 oz /70 g with an approximate burn time of 14 hours each although I haven’t timed my burn lengths. The three mini candles all have extremely good throw even at the small size. Based on my experience with the full-sized Fleur Fantôme, I can say the mini is just as strong in scent once it is burned. I’ve burned each of the minis over the past few weeks. 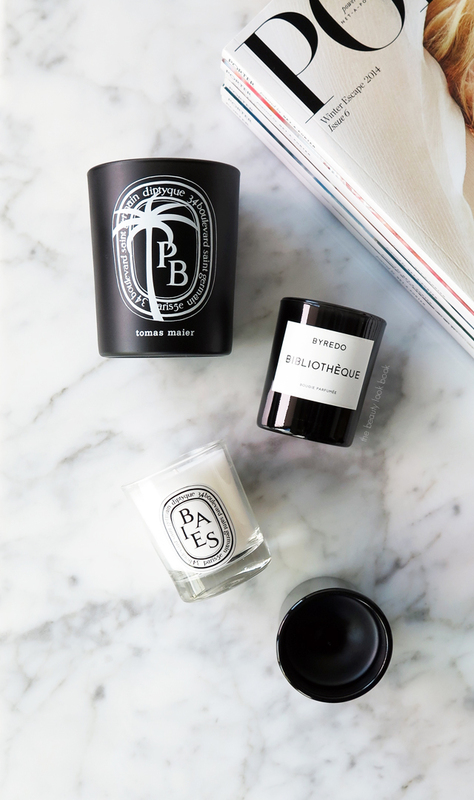 These are lovely unique home scents but my heart still belongs to Diptyque and Henri Bendel. Bibliothèque mimics the Bal D’Afrique perfume. To me this is a warm peachy plum that gives all sorts of warm fuzzy feelings. It is still very fruity so if you’re not a fan of sweet, I’d say skip this one. Cotton Poplin resembles Blanche perfume. The candle is much better than the perfume version (in my opinion). It’s a fresh clean linen-like scent with a hint of powdery floral mixed in without feeling too powdery. This is quite unique and makes the entire room feel bright and clean. 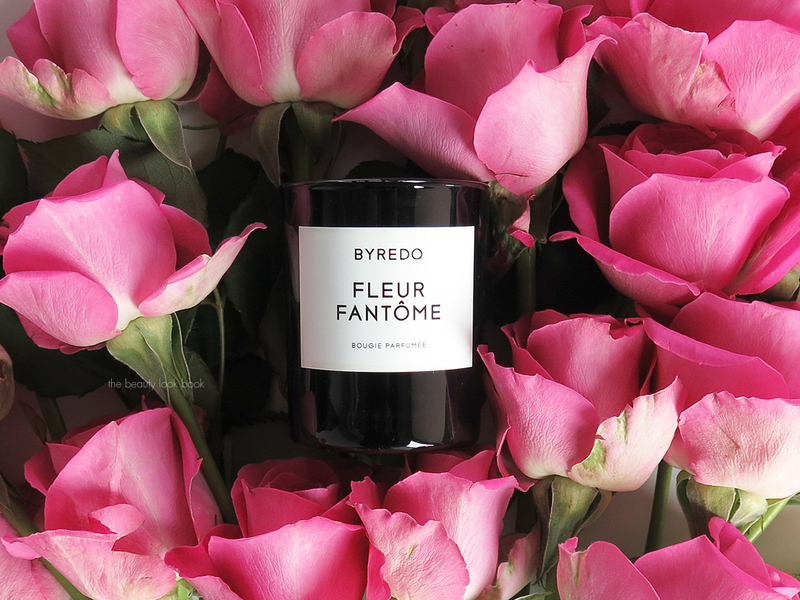 Fleur Fantôme is a unique floral. This is one of the most natural-smelling sweet floral candles I’ve burned, it makes you feel like you are in a spring garden. While the minis are really adorable and are great to sample the scents or good for travel, the better buy is the larger size. Packaging-wise these are sleek and simple making beautiful home accents. Recycling the older versions proved to be tricky since the labels were made of paper and if you got them wet it ruined them completely. If you search for reviews or images you might notice that the packaging has changed slightly (older version shown here). The newer version seems to have a more sturdy label but it is still prone to smudging and staining. 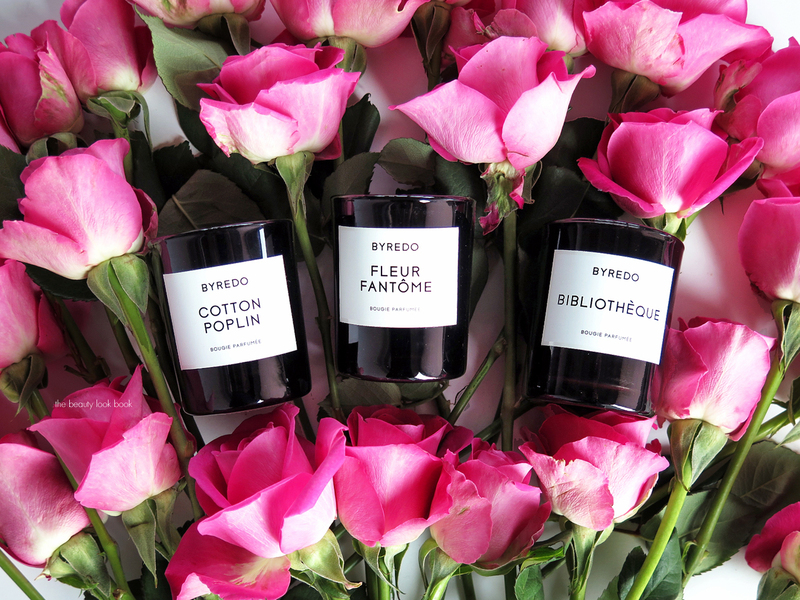 My overall assessment of these Byredo Candles is that they are a luxurious splurge. Beautiful with strong throw and unique scents, but extremely pricey. Although you the price per oz of the full size is similar that of Diptyque, spending $80+ on a single candle is pretty hard to stomach. Out of all the Byredo candles, the three scents in this trio are among the softest and most soothing in overall feel although the scent itself is very strong. I have a full size Cotton Poplin on order but will probably not be ordering anymore for a while. In case you missed it, be sure to check out my Candle Care Tips and Recycling Posts. I’ve included tips on how to avoid tunneling, burning the sides, excessive smoking and also how to recycle the candles after you finish burning them. I ordered my Mini Candle Trio from Net-A-Porter. It’s also available at Byredo.com. Individual minis are available at select stores from Barneys New York and Neiman Marcus too but you may have to shop around to find all three in stock.